IQ Option, a Binary Options Broker Investing for the Long Term! Overall IQ Option scored an impressive 90/100, as it is one of the leading binary options brokers on the market today. For bonus it scored 0 as it doesn’t offer any trading bonuses or promotions. The software scored a high 90/100, as it is highly advanced, user-friendly and extremely intuitive. The customer support got a high 90/100, as response times are the fastest in the industry and there localized telephone numbers. Mean while the amount of tradable instruments scored a 95/100 as it offers a rich depth of assets across all trading classes. Competition is always a plus for the end consumer, pushing quality up and prices down, and binary options trading enthusiasts are now benefitting from strong competition for their business among brokers. There is now a significant number of binary options brokers to choose from and the chances are whatever particular features a trader is looking for, there will be a selection of trading platforms particularly strong in that area. However, a rich choice of binary options brokers and trading platforms can also mean traders don’t know quite where to start when it comes to choosing their own. That’s why we’ve done the work for you and opened accounts to assess the pluses and minuses of many of the binary options broker choices you may be considering. In this review, we focus on IQ Option and we’ll tell you how the broker rates across the key considerations every binary options trader has when choosing a broker from safety to trading platform quality, level of payouts, range of tradable instruments and more. 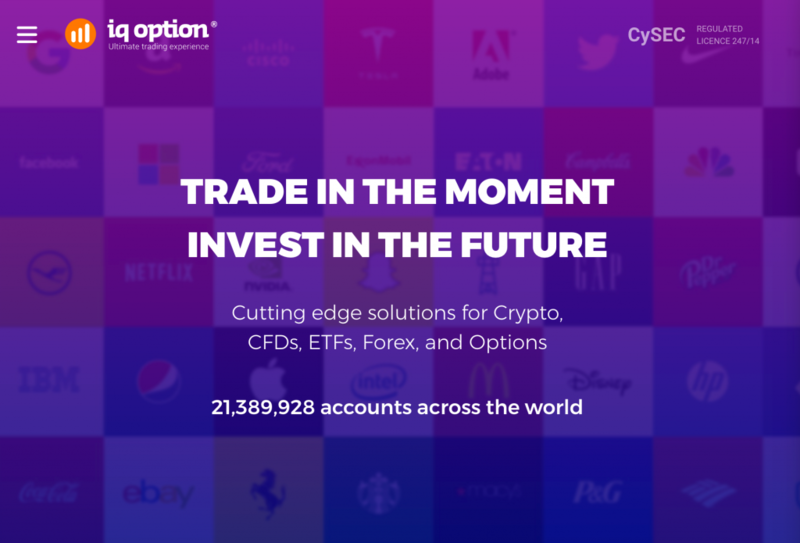 Established in 2013 and regulated by CYSEC, IQ Option has established a reputation as one of the binary options trading industry’s leading brokers. 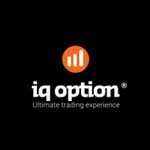 A slick and modern trading platform, good marketing and strong customer support have seen IQ Option rack up some impressive growth statistics over the past 4 years. From 950,000 trader accounts in 2014, the 14 million mark was passed last year. An average of 3 million trades a day were made via IQ last year, with a combined value of around $11 billion. Officially recognised as the fastest growing binary options brand by Global Brands magazine, IQ Option has won a host of industry awards in recent years. These include the Global Banking & Finance Review’s Best Binary Options Broker Europe 2015 award and numerous best technology and best platform awards over the past couple of years. IQ is also official partner of the Aston Martin Racing team for the WEC. As well as being available as a browser-only platform, there are also downloadable desktop apps for Windows and iOS. Some of the main features include a multi-chart layout, a full 2-year historical record of quotes and technical analysis feeds. A recent makeover was launched with version 4.0 of the platform and menus and access to in-trade tools are now a more seamless part of the trading experience. 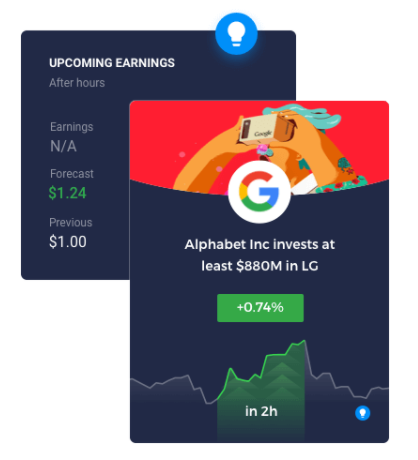 As would be expected of a broker whose technology and platform awards are dominated by their trading apps, mobile is a real strength of IQ Option. The app is available in both Android and iOS format and has been optimised using best practice standards taken from other industries that are true industries in a mobile experience. The apps have been favourably compared to sports betting apps, an industry that has been among the most successful when it comes to embracing mobile and really making the most of the format. 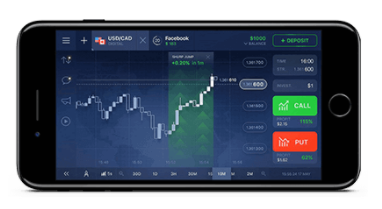 Many IQ Option traders find the mobile app so comfortable to use that they have entirely abandoned using the desktop version of the software, even when not on the move, which can be considered the ultimate testament to its quality. Another strength of IQ Option, noted by traders as key to their choice to work with the broker is the value-added features available through the platform. The historical record of quotes made available to traders, relatively unique in the industry, has the added advantage of facilitating real technical analysis opportunities. Technical analysis tools such as candlesticks, Fibonacci lines and bar charts can all be utilised in-trade and other features provided include volatility alerts, market updates, stock screeners, calendars and newsletters. 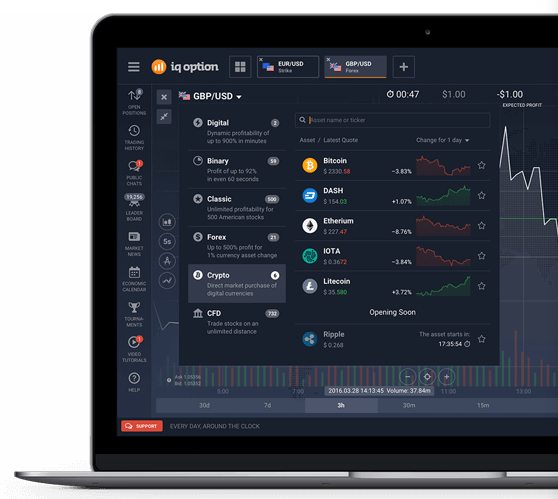 A social platform where traders can interact and share ideas, knowledge and advice is another feature of IQ Option’s trading platform that has gone down very well with the community and sets the broker apart from much of the competition. As well as regular stand-alone trading, IQ hosts daily tournaments that traders can take part in to pit their wits against other platform members and add variety to the trading experience. IQ Option offers what is, as far as we have seen, the greatest depth of choice among all the binary options brokers when it comes to tradable markets. 188 Forex pairs are available, 12 different cryptocurrencies and 7458 individual company stocks. Most binary options brokers offer a relatively limited number of company stocks, if at all, so this is a real strength of traders who have an interest in equities markets. Another USP within IQ’s rich depth of available markets is that ETFs are offered – 4288 of them in fact. The ETF options include major equities indices such as the FTSE 100 and Nasdaq, commodities, baskets of commodities such as industrial metals and technology funds. Finally, over 10 million digital options which combine the available instruments and allow trading on their price dynamics can be selected from. There are no fees attached to general trading with IQ Option though there is a £/€/$50 administration fee attached to inactive accounts for ‘account maintenance’. Accounts are categorised as dormant/inactive and the fee charged if no trades have been placed for 90 days. The company also reserves the right to charge a £/€/$5 fee to close accounts in circumstances where all appropriate documentation requested to verify an account has not been provided. While withdrawals are not charged if processed via accepted debit and credit cards and e-payment providers a £/€/$ charge is applied if withdrawals are requested via bank/wire transfer. Payouts are a strength of IQ Option with up to 92% regularly offered. Average payouts for binary options finishing in the money are comfortable in the 80%+ zone. Deposits can be made via a healthy range of online payment options. Visa, Mastercard and Maestro debit and credit cards are all accepted for deposits and withdrawals and e-payment options include Skrill, Neteller and WebMoney. The minimum opening account deposit for an IQ Option account is a mere £/$/$10. Withdrawals are processed within 1 day when using suggested payment processing providers and within 3-5 days if a bank transfer is requested. Because IQ Option is regulated by CYSEC, which requires strict controls on how brokers operate, IQ Option is not permitted to offer ‘bonuses’ as such. The financial conduct regulator considers bonuses, which tend to come with terms and conditions around how many trades need to be made before bonuses can with withdrawn, as not in the overall best interests of traders. As such, as of 2016, IQ have halted all introductory and ongoing bonus schemes. Traders with an opening deposit of at least £/€/$, or who subsequently regularly have an account balance above that figure, are awarded a ‘VIP’ trading account. This comes with a personal account manager whose responsibility it is to address any issues the trader has and can also provide trading advice and tuition if requested by the trader. Customer support is another strength of IQ Option and local chat, email and telephone support, toll free for many locations, is provided in the local language of 18 different countries. Response times on any issues and questions are reportedly among the best in the industry. While this review may come across as suspiciously positive overall that is simply because IQ Option is a very good binary options broker and ranks among the best in the industry over most of the categories we’ve covered here. 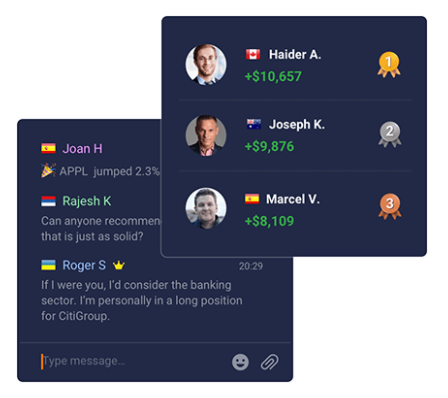 When it comes to quality of trading platform (desktop and mobile), low cost barriers to entry, range of tradable markets and value-added resources and features, there are few competitors that come close to IQ. This is a binary options broker that is clearly in it for the long haul and really makes an effort to give traders a top quality, good value service. With many binary options brokers, there is a real suspicion that their business model is based on making as much money as possible in the short term. IQ Option appears to be cut from a different cloth and is investing to build a long-term position as a market leading broker. However, the £/€/$50 charge levied to inactive accounts and for bank transfers do have to be considered as among the very few drawbacks that can be noted about IQ Option and hopefully something the company will look to address in the future. Is IQ Option a scam binary options broker? No. Regulated by CYSEC and registered with the FCA, IQ Option has to be considered one of the safest binary options brokers on the market to entrust trading funds and trading experience to. Does IQ Option offer a demo account facility? Yes. Beginners learning the ropes of how to trade binary options or anyone who wants to ‘try before they buy’ have unlimited access to a demo account that boasts all of the features of a real money trading account. What is the minimum stake price when trading with IQ Option? The minimum option that can be taken is £/€/$1, which is the lowest available with any major binary options broker and is a real plus of the trading platform, especially for beginners to binary options trading.